Tell us about it. We'll share it through the Knowledge Sharing Center. Stephen Brettel of PAE Applied Technologies LLC insists that it is “absolutely realistic for universities to earn revenue from federal contracts.” Despite 80 to 90 percent of contracting opportunities going to small businesses, Brettel says to believe otherwise would be absolutely foolish. The opportunity for Historically Black Colleges and Universities is there, it is simply a matter of the institutions being aware and business savvy enough to take advantage of it. "There is ample opportunity for a smart, assertive institution of higher learning to make a lot of money." One HBCU in particular that has been a trailblazer in establishing business relationships is Prairie View A&M University. 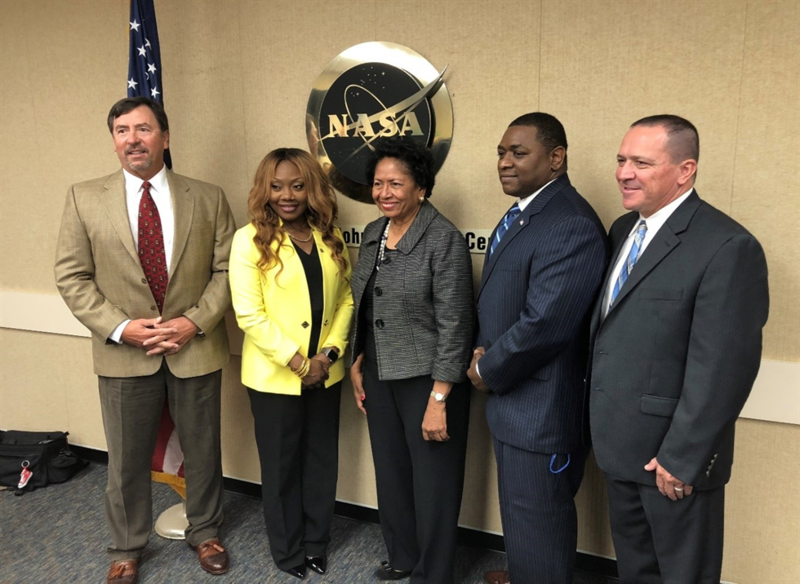 PVAMU has an active 12 month agreement with PAE which consists of the NASA Johnson Space Center prime contractor providing strategic business and technical support to assist the university in attracting larger and more substantial contracts. In other words, the main goal of the NASA mentor-protègè program is for mentors to assist universities with learning how to conduct business with the federal government. This includes skills ranging from writing proposals to even partnering with the university to pursue contracts together. Along with this advice, Brettel stresses the importance of universities meeting their deadlines in order to maintain a successful partnership with contractors. PVAMU’s involvement in the NASA mentor-protègè program has generated significant interest from other agencies for potential partnerships in the future. Elmore-Cole is hopeful that it is only a matter of time before that interest turns into dollars for PVAMU and contractual opportunities for other HBCUs. Are you qualified to be a subject matter expert? We invite researchers and faculty members with innovation expertise who are interested in working on contracts with companies seeking SMEs to register to be added to the Subject Matter Expert database. Send us an email, and we will answer any questions you may have. Get the information and resources you need, whenever it's convenient for you. Experts in government contracting compile the training and participate in our webinars. Connect here with other universities, companies, and federal agency program managers.